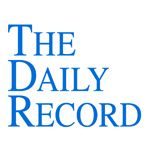 This week's Daily Record column is entitled "Litigation and trial iPad apps for lawyers." Although I’ve written about iPad apps for lawyers in the past, the number of apps designed specifically for attorneys is always increasing. For that reason, I figured it was high time to revisit this topic so that I could cover most of the legal apps available, including some of the more recent releases. 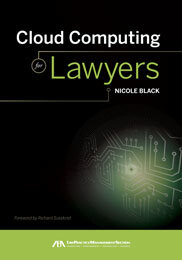 One of the most popular and rapidly growing categories of apps for lawyers are those developed for use in trial and litigation. Within this subset of apps, there are generally two different types: apps for use during trials and apps for use during the pretrial discovery phase. In this article, I’ll highlight apps developed for use during trial and next week I’ll discuss the pretrial apps. First, there are the apps that assist with jury selection. At the most basic level, these apps allow you to keep track of jurors’ responses and reactions during voir dire. The least expensive of the bunch, at just $4.99, is the Jury Tracker app. This app was created by an attorney and is designed to aid lawyers during trial by providing an easy way to keep track of observations regarding jurors by organizing notes and predictions regarding each juror throughout the course of the trial. Next up is iJury at $14.99, an app that facilities the analysis of juror responses. After inputting the jurors’ voir dire responses into the app, you can score their responses as either negative or positive and then the app generates metrics about your prospective jury. Not to be confused with iJury is the iJuror app. This app costs $19.99 and allows you to add jurors to a configurable seating chart. You then add information and notes about the jurors by tapping the juror’s location on the seating chart. When jurors are dismissed from the panel, you simply drag them off of the seating chart. Another voir dire app is the JuryStar iPad app, which was developed by an attorney and costs $29.99. This app has a number of built-in features designed to make it easy to assess your jury panel at a glance, including color codes for the gender of jurors and the ability to add a custom color code for another category of your choosing. It also allows you to create custom fields so that you can easily track the factors that are most important to your case. Finally, JuryDuty is another app designed to assist with voir dire. This app costs $39.99 and allows you to enter unlimited data about each juror. Once you’ve entered notes about a juror, that juror’s icon changes from white to blue, thus making it easy to determine which jurors you’ve already addressed. Now, on to the trial apps. First, there’s the newly released TrialDirectory app, the only free app in the bunch. With this app you create case folders and then add exhibits via your Dropbox or iTunes accounts. You then work with your evidence using the annotation and presentation tools. Next up is the Exhibit A trial presentation app, which, at only $9.99, is also a bargain. This app allows you to import your documents, photos, etc., via Dropbox, iTunes, WiFi, FTP or email. You then organize your files into “projects” and can highlight and mark your exhibits, which are shared with the jury using your iPad and an external monitor or by a projector using a VGA or HDMI adapter, or by connecting wirelessly using AirPlay and Apple TV. Finally, there’s the ever-popular TrialPad app, which costs $89.99. TrialPad was one of the first trial presentation apps to be released and has thus had time to fine tune and perfect its app based on user feedback. With TrialPad you import files into the app via a large number of interfaces, including Dropbox, WebDAV, email, iTunes, Photos app, or other iPad apps. You can highlight, annotate, redact and zoom in on your documents and compare documents side by side. There is also a whiteboard available so that you can draw freehand as you speak. The wonderful thing about all of these apps is that they are both affordable and innovative. The jury selection apps streamline and simplify the process of voir dire while the trial apps level the playing field and offer all lawyers access to tools and features that were once only available to large firms with thousands of dollars available to spend on costly trial presentation software programs. So, just as the iPad is revolutionizing the consumer content consumption experience, it is likewise improving the experiences of trial lawyers and jurors alike. Not bad for a device that many naysayers used to call an unnecessary and unimpressive oversized iPod. Not bad at all.